The Visitors Log Book allows you to record details of every visitor that enters and exits your premises. 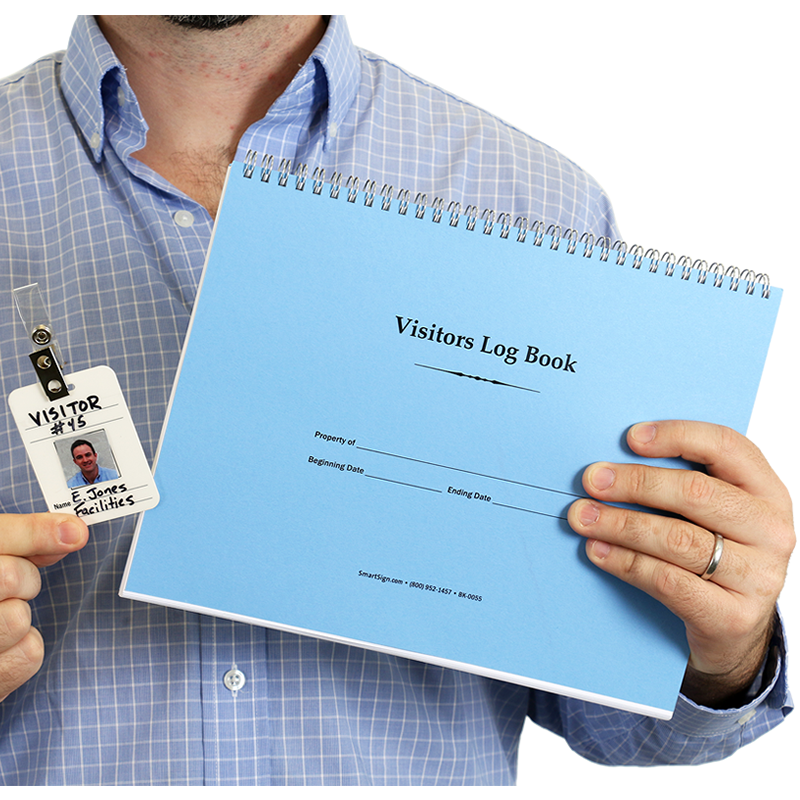 • The log book features blank spaces to record the date, time, name, company, and department visiting. • Books have a thick blue grain cover stock and are bounded by wire-o binding. Wire-o binding is made of metal coils that out last plastic spiral bound books. 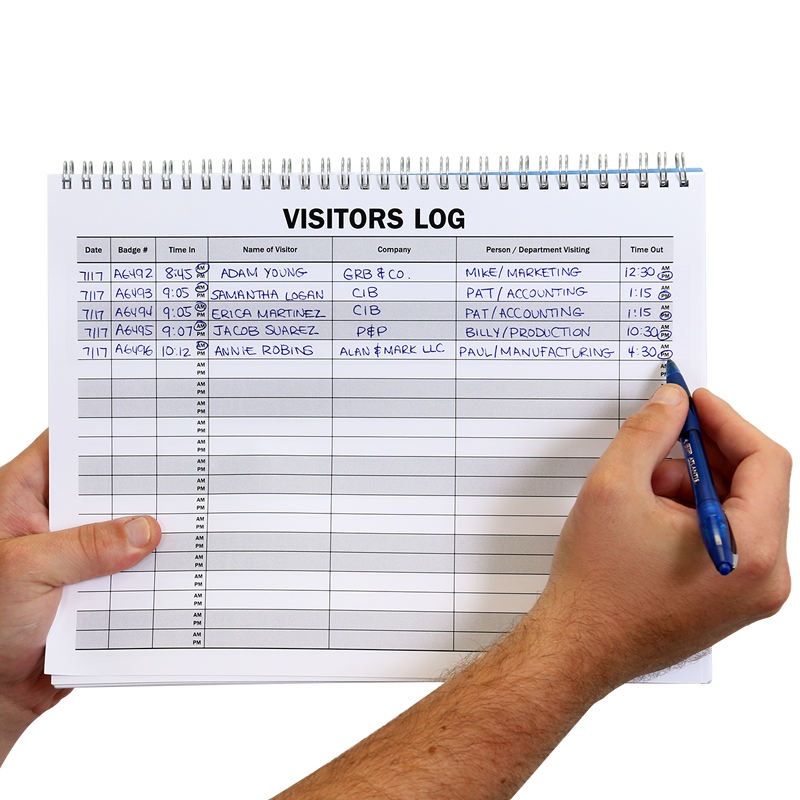 • Log book comes with 50 single sided pages with 20 entries per page giving the customer a total of 1,000 entries per book. 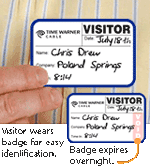 Perfect for management companies and more. • Log book is a perfect match with our laminated plastic visitor badges. 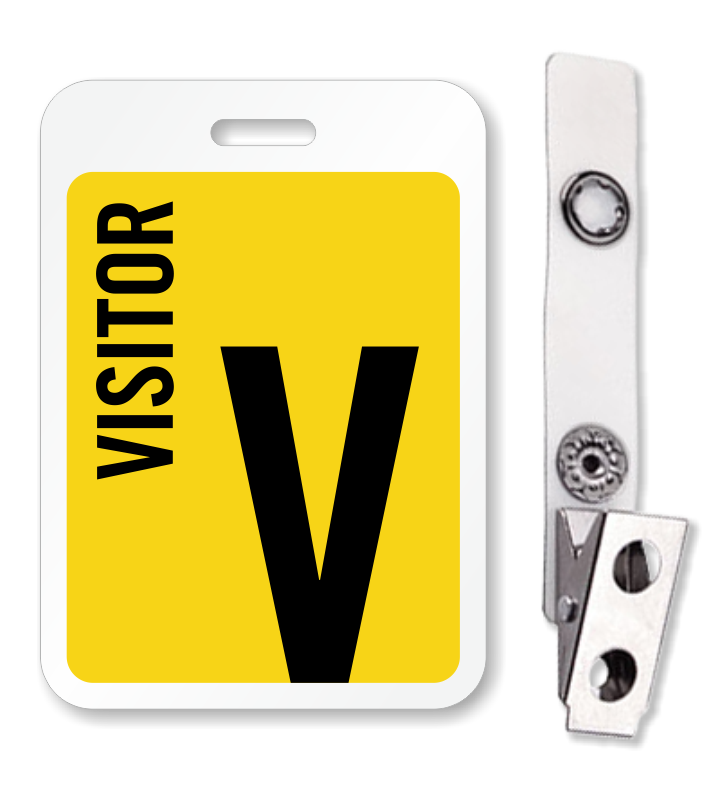 Find popular options below or check out our Visitor Badges Department for more options. 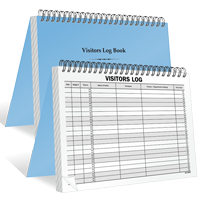 • Log books feature an 80lb sky blue grain cover stock. • The inner pages of the book are printed on 80lb white text paper. • The books go through a wire-o binding method. The wire-o binding consists of c-shaped, looped metal coils in a silver finish. 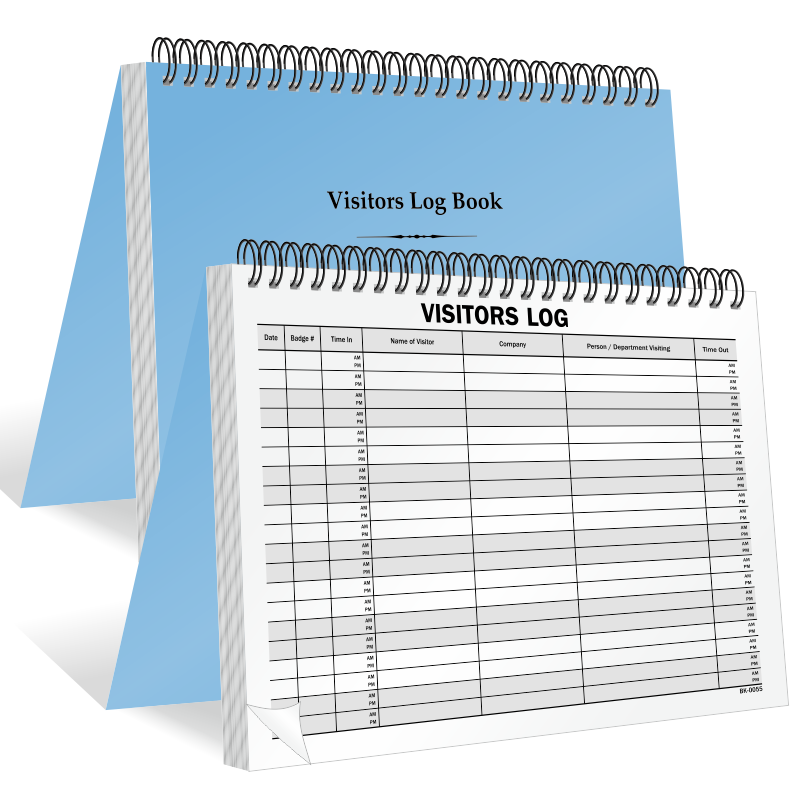 • Log books are digitally printed with black ink. I HAVE BEEN LOOKING FOR THESE TYPES OF LOGS EVERYWHERE AND EVEN TRIED TO HAVE ONE MADE (didn't work out so well). I JUST COULDN'T FIND ANY WITHOUT THE ADDRESS COLUMN. SO MY STAFF APPRECIATES IT, IT IS JUST WHAT I HAVE BEEN LOOKING FOR.